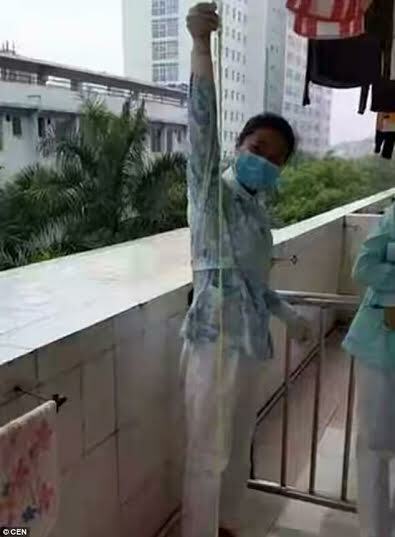 Chen from Guangxi, 45 from South China who loves to eat raw beef and fish complained of stomach problems to doctors and tests were carried out by his city’s Gastroenterology department which revealed the tapeworm and even then, it took five days to extract. Doctors determined the parasite had come from contaminated raw food and studied it to discover how it grew so long in its host. 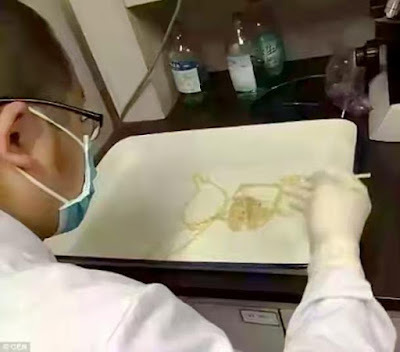 Tapeworms – or taenia saginata as they are known scientifically – has eggs which hatch in cattle and are carried through the body by the animal’s circulatory system. The eggs hatch three months after human consumption and develop into adults in the small intestine which according to scientists have a life expectancy of 60years. To think someone could carry it around almost all their life. Doctors have advised that meat and fish fans should be wary when eating unregulated and under cooked-produce – and that if raw beef is consumed, it should be chilled well beforehand.